Introducing more Zodiac Time Beasts that bind themselves. 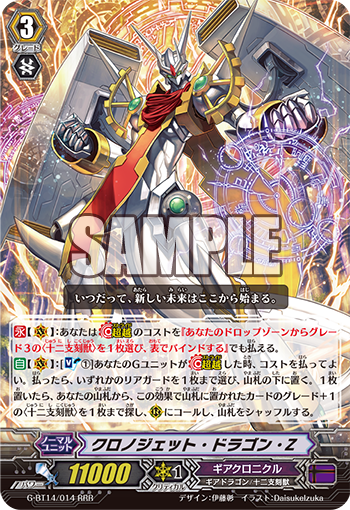 CONT [Deck/Drop Zone] If you have a grade 3 or greater vanguard, this card gets grade+2. 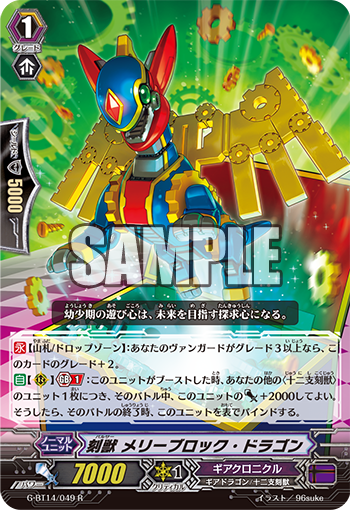 AUTO (RC) Generation Break 1 When this unit boosts, you may have this unit get Power+2000 until the end of the battle for each other <Zodiac Time Beast> units. If you do, at the end of the battle, bind this unit face up. ACT (RC) [Bind this unit face up] Counter Charge 1.